The Pleyad Studios were established in Florence and Turin, at the end of the year 2015, for the musical recordings performed by the band "Fratelli Stellari". 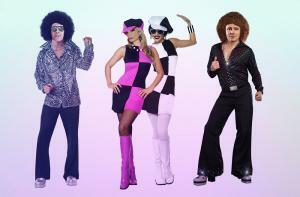 This label is specialized in pop and dance music, with a particular interest in "alien music". 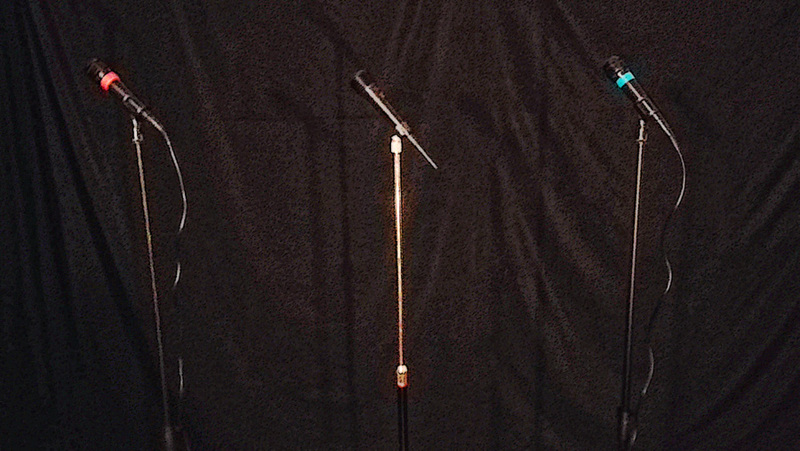 The producers are Fabio Nocentini and Giuseppe Ciucci. Among the singers: Stella Demaris, DJoNemesis, Dorien Dorion, Mauna Ki, Ritanne du Lac, Roxandria d'Egitto, Joseph de Suces, La Vecchina dell'Aceto and other. All the instrumental tracks used by Pleyad Studios are allowed for creating derivative songs and for commercial uses, according to Creative Commons Licenses 3.0 and 4.0 (creativecommons.org/licenses). 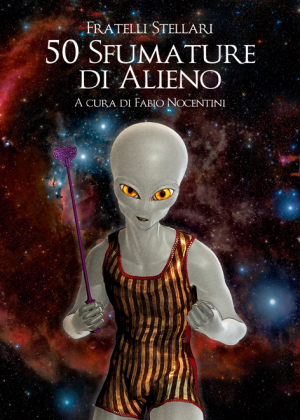 Fratelli Stellari, "Aglien Discomix", album with 16 tracks. PS01: Fratelli Stellari, "Aglien Discomix", compact disc and digital album, March 2016. PS02: Fratelli Stellari, "Ufo Dance (Space Edit)", digital single, April 2016. 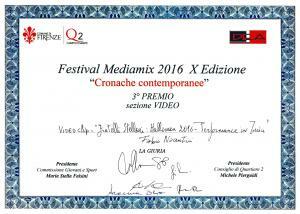 PS03: DJoNemesis & Lilly, "Baffo d'Oro", digital single, April 2016. PS04: Fratelli Stellari, "Nightflight to Planet X", digital album, May 2016. PS05: Fratelli Stellari, "Milky Way Super Mix", digital single (extended play), May 2016. PS06: Fratelli Stellari, "Matres Alienorum", digital single, June 2016. PS07: DJoNemesis & Lilly, "Home Visitors", digital single, July 2016. PS08: Fratelli Stellari, "Galactic Sound", digital album, July 2016. PS09: DJoNemesis & Lilly, "Interstellar Melody", digital album, July 2016. PS10: Fratelli Stellari, "50 Sfumature di Alieno", digital single, August 2016. PS11: DJoNemesis & Lilly, "Ritornata dalla Luce", digital single, August 2016. PS12: Fratelli Stellari, "Advent of the Space Gods", compact disc and digital album, December 2016. PS13: DJoNemesis & Lilly, "Nibiru Remixing", digital album, January 2017. PS14: Fratelli Stellari, "Les Trois Mères - Deep Space Mix", digital single, January 2017. PS15: DJoNemesis & Lilly, "An Ufo Over Turin", digital single (extended play), February 2017. PS16: Fratelli Stellari, "Instrumental Hits Vol. 1", digital album, February 2017. PS17: DJoNemesis & Lilly, "Instrumental Essence Vol. 1", digital album, March 2017. PS18: DJoNemesis & Lilly, "Arrival Prophecy", compact disc and digital album, April 2017. PS19: Fratelli Stellari, "Instrumental Hits Vol. 2", digital album, May 2017. PS20: Fratelli Stellari, "Milky Way Super Mix (Instrumental)", digital single (extended play), May 2017. 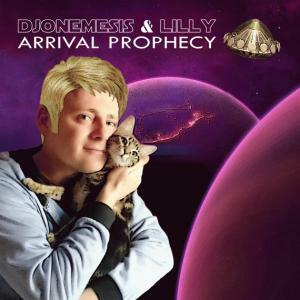 PS21: DJoNemesis & Lilly, "Instrumental Essence Vol. 2", digital album, June 2017. PS22: Dorien Dorion, "Egyptian Sands", digital album, January 2018. PS23: DJoNemesis, "Matres Alienorum Edit", digital single, January 2018. PS24: Dorien Dorion, "Egyptian Sands Instrumental", digital album, January 2018. PS25: Fratelli Stellari, "Electrowave", digital album, May 2018. PS26: Dorien Dorion, "The Forest Rhythm", digital single, September 2018. PS27: Dorien Dorion, "The Forest Rhythm (Instrumental)", digital single, December 2018. PS28: Fratelli Stellari, "Electrowave Instrumental", digital album, March 2019. 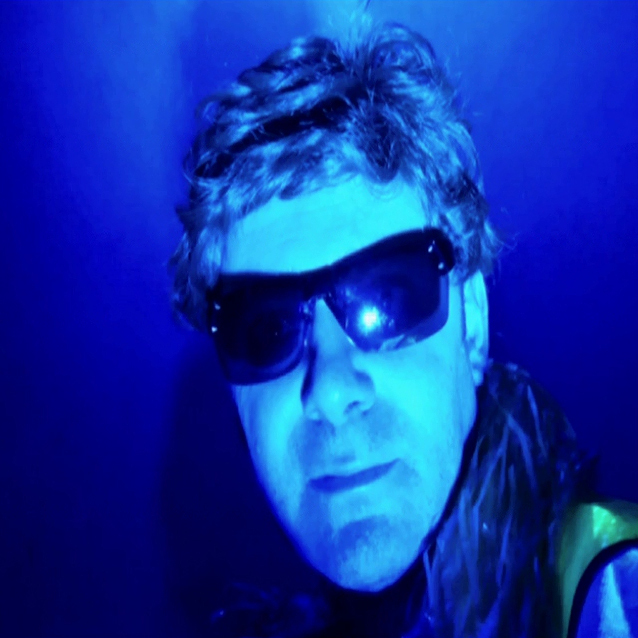 PS29: DJoNemesis, "Space Captain", digital album, April 2019. I Pleyad Studios sono stati fondati in Firenze e Torino, alla fine del 2015, per le registrazioni musicali della band "Fratelli Stellari". Questa etichetta discografica è specializzata in musica pop e dance, con un particolare interesse per la "musica aliena". I produttori sono Fabio Nocentini e Giuseppe Ciucci. Fra i cantanti troviamo: Stella Demaris, DJoNemesis, Dorien Dorion, Mauna Ki, Ritanne du Lac, Roxandria d'Egitto, Joseph de Suces, La Vecchina dell'Aceto e altri. Tutte le basi musicali utilizzate da Pleyad Studios sono consentite per creare canzoni derivate e per usi commerciali, in accordo con le licenze Creative Commons 3.0 e 4.0 (creativecommons.org/licenses). Fratelli Stellari, "Aglien Discomix", album con 16 brani. Fratelli Stellari, "Aglien Discomix", compact disc and digital album, March 2016. Fratelli Stellari, "Advent of the Space Gods", compact disc and digital album, December 2016. DJoNemesis & Lilly, "Arrival Prophecy", compact disc and digital album, April 2017. 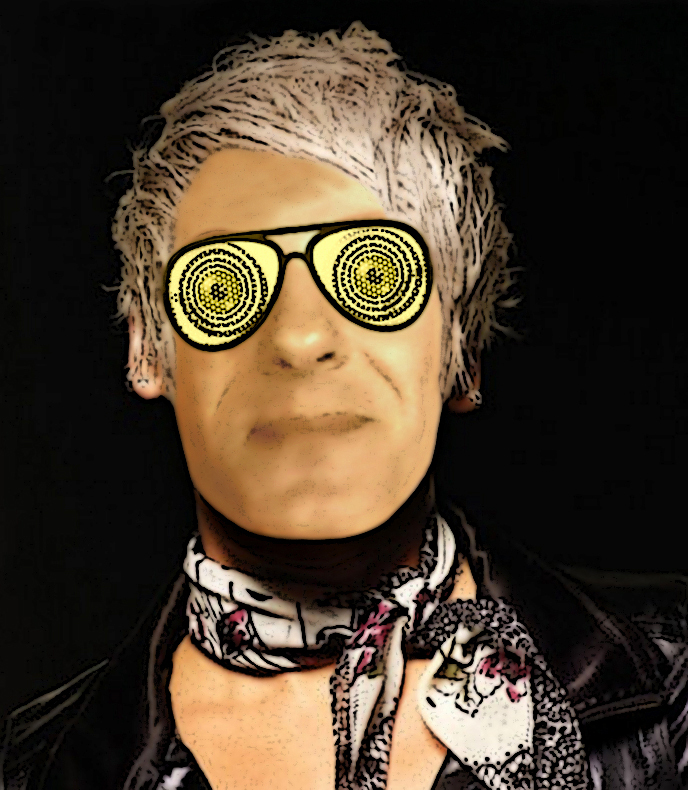 Pleyad Studios Releases: some compact discs "vinyl effect"
Copyright 2015-2019 Fabio Nocentini. Tutti i diritti riservati. All rights reserved. Vietato copiare/riprodurre testi e immagini. It is forbidden to copy/reproduce texts and images. 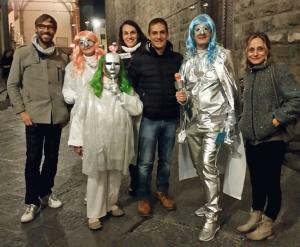 Fratelli Stellari, Halloween Street Show in Florence, 2018. More pics here! 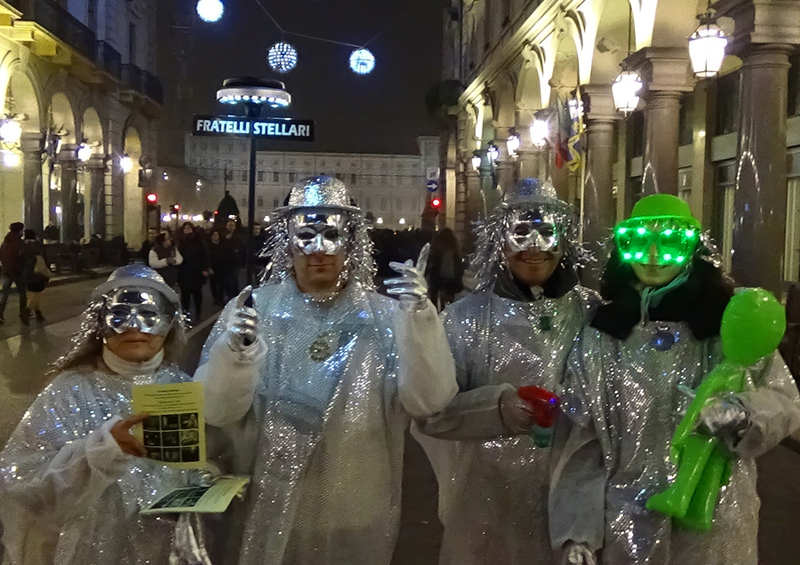 Fratelli Stellari, Halloween Street Show in Turin, 2016. Video here! 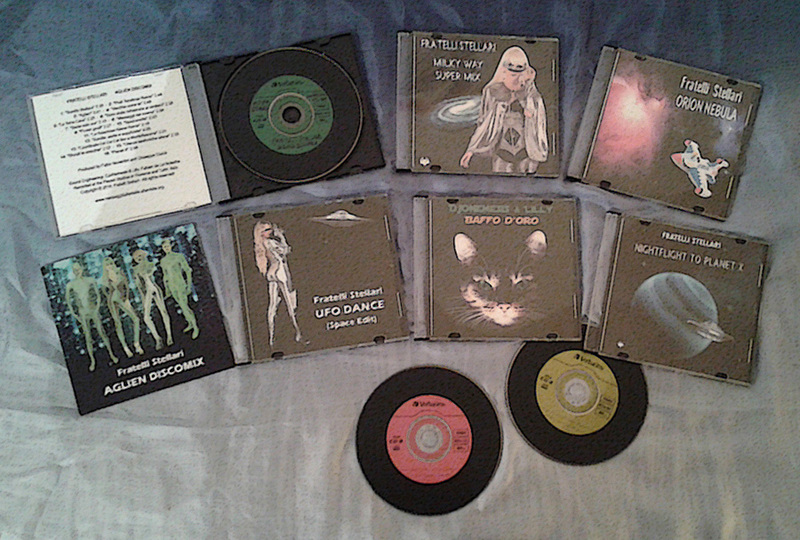 Music CD: "Advent of the Space Gods", 12.99 dollars. Available on Amazon and at Danex Records Music Shop in Florence. All the musical releases are available on various stores: Amazon, iTunes, Bandcamp, Tidal, Google Play Store and other ones. DJoNemesis: singer, remixer and cabaret artist in our group. Listen to his song "Ritornata dalla Luce". 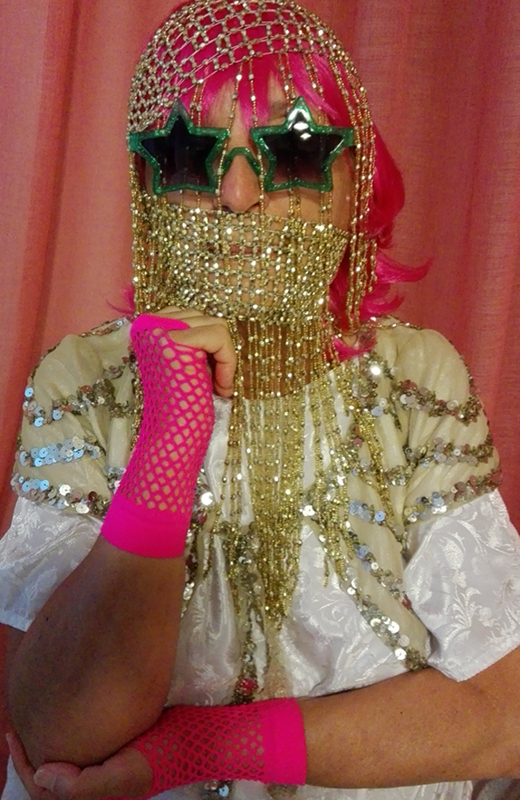 La Vecchina dell'Aceto: singer, remixer and showgirl. 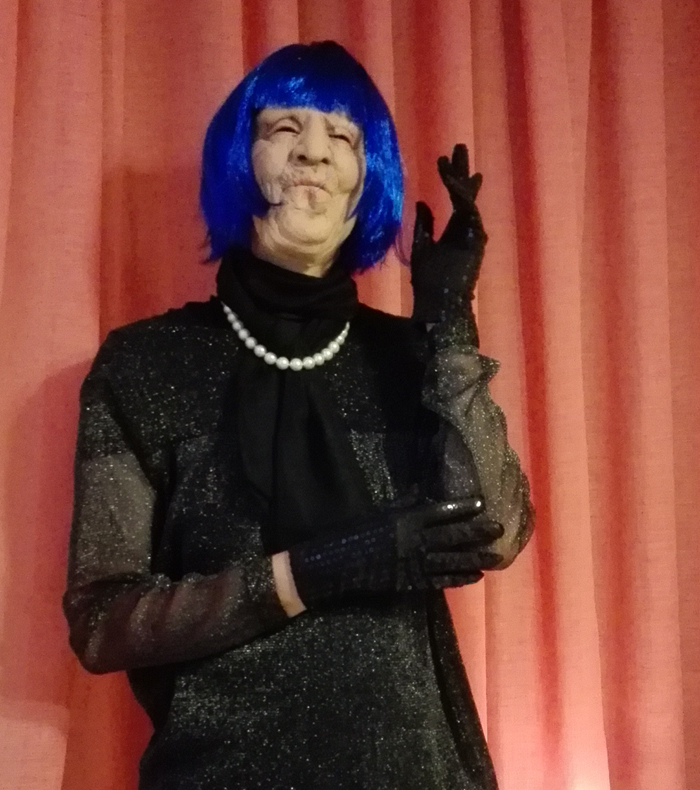 Listen to her song "DJ Vequine Alien Mix". Dorien Dorion, singer in "El Misterio del Espacio" and other songs. Sarah Ley, also known as Mauna Ki: singer and showgirl in our group. 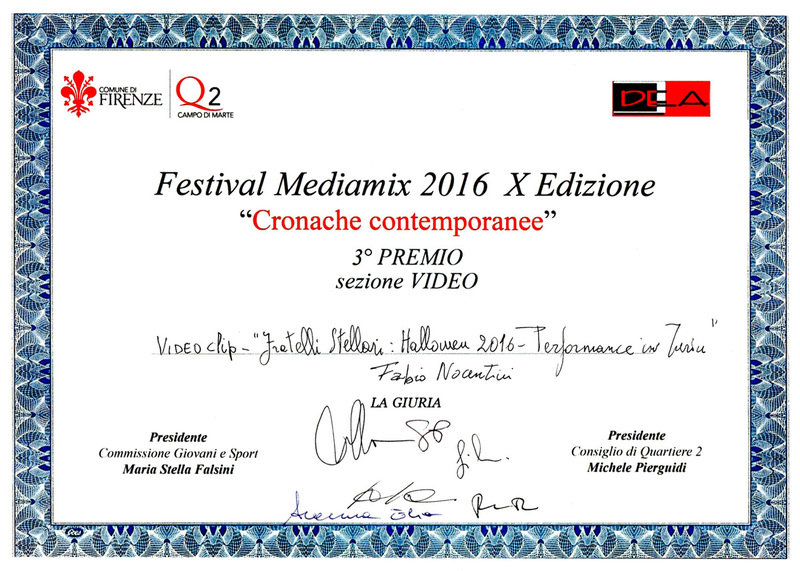 Festival Mediamix 2016 in Florence: our videoclip "Halloween 2016 - Performance in Turin" received a special award, 3rd classified. Scaricate gratis le opere aliene! Tutti i diritti riservati. Vietato copiare/riprodurre testi e immagini. All rights reserved. It is forbidden to copy/reproduce texts and images.